You will be surprised to find out that tea can be used in many other ways than just a hot drink. It might be the latest trend in food industry to use tea as an ingredient. So if a daily hot cup of tea is not really your thing, you’re reading the right post. One of the best examples here is matcha. This type of green tea is finely milled until powder and is easy to replace regular flour in various pastries. More than that, its green color is a natural dye that helps you transform the look of your desserts and add some personality. Green cheesecakes, cupcakes, ice-cream or cookies, choose what you like and find your recipe here or here. Believe it or not, but you can mix tea with alcoholic drinks. Want your daiquiri or mojito differently? Have a look at these 12 healthy tea cocktails for inspiration. What do you think about this terrific tea cocktail? Pour in the triple sec to the sweet tea and add the juice of 2 lemon wedges to it. Leave lemon wedges in drink, then add 5 ice cubes. Stir gently. 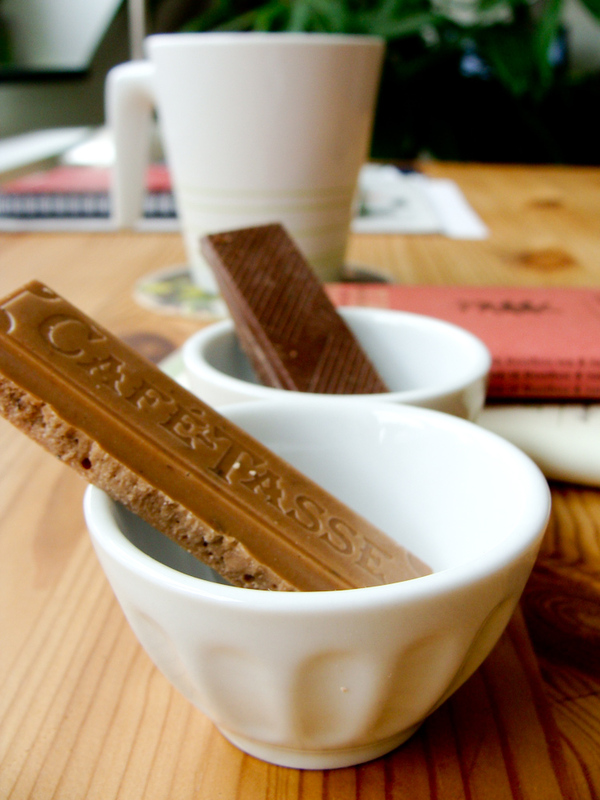 You can easily find tea with bits of chocolate and enjoy the melting aroma in your cup. But there’s also a tea-flavored chocolate. Recently I’ve tried two Belgian chocolate brands – Café-Tasse and Dolfin – that offer white, milk or dark chocolate with different types of teas like rooibos, green Sencha, or Earl Grey. If you grind tea leaves, you get a new spice! Have you ever thought about it? Some say that oolong tea goes best with white pepper on a pork steak. Tired of plain rice? Mix it with jasmine tea leaves. Another very unique recipe I’ve come across was a hard-boiled egg simmered in black tea. Apparently, it’s an old Chinese fast food that tastes good hot or cold and can be kept for a week or so. The same way tea can be that one missing ingredient in your sauce. Matcha green tea is the champion and you’ll find many recipes using it in making sauces. But also other teas, like Earl Grey with a distinct bergamot taste, can change the way you prepare your meals.